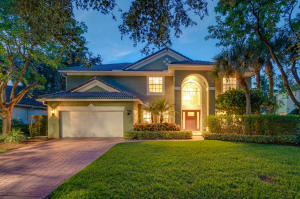 457 Oriole Circle Jupiter, Fl 33458 has been sold. DO NOT MISS THE OPPORTUNITY TO SEE THIS METICULOUSLY MAINTAINED HOME WITH A SIZEABLE BACKYARD AND ENDLESS AMOUNTS OF STORAGE! THIS HOME IS PRISTINE FROM TOP TO BOTTOM - YOU CAN MOVE YOUR FAMILY RIGHT IN. ENJOY AN OPEN FLOOR PLAN THAT INCLUDES AN OFFICE, DEN, FORMAL DINING ROOM, HIS & HERS WALK-IN CLOSETS, AND BONUS STORAGE ROOM, NOT TO MENTION A RARE BACKYARD WITH ENOUGH ROOM FOR A POOL, PLAY SET AND FOR THE DOGS TO RUN AROUND. EGRET LANDING IS A HIGHLY SOUGHT-AFTER COMMUNITY WITH RECREATION TO SUIT EVERYONE'S INTERESTS. 457 Oriole Circle located in Jupiter, FL is a single family home with 4 bedrooms, 3 full baths and 0 half baths.The Home at 457 Oriole Circle was built in 1998 in Egret Landing and offers a 2 car garage. This Egret Landing Home offers pool, tennis, clubhouse, basketball, exercise room, sidewalk, manager on site. 457 Oriole Circle Jupiter, Fl is currently listed for $599,980 under the MLS# RX-10469332. This Home has been put on the Jupiter MLS system and currently has a status of SLD.